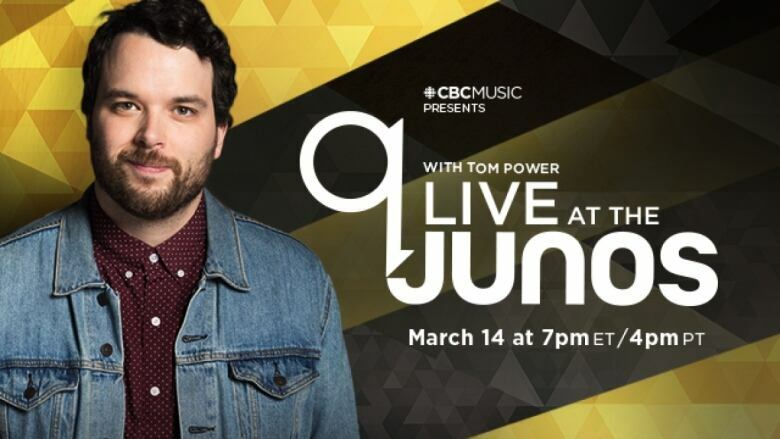 q Live at the Junos, with Tom Power: musician Bahamas, author Emma Donoghue, musician Kaia Kater, musician Jim Cuddy and Olympic champion Natalie Spooner, musician Donovan Woods, comedian Chanty Marostica and more. Watch the highlights below! Listen to the entire show by clicking the 'listen' link above. AfieJurvanen, also known as the Juno-winning musician Bahamas, is one of Canada's finest songwriters. His latest record, Earthtones, was nominated for a Grammy this year and he's now nominated for four Juno Awards, including Adult Alternative Album of the Year and Songwriter of the Year — a category he's won before. Bahamas performed two songs from his Juno-nominated album Earthtones. Watch the performances below. London's Emma Donoghue is the Academy Award-nominated author and screenwriter of Room. She talks about her best-selling novel, which was shortlisted for the Man Booker Prize in 2010. The film adaptation also earned several other Academy Award nominations and a Best Actress win for Brie Larson. KaiaKater is a folk singer who blends traditional music with something entirely original. Her new record, Grenades, is up for a Juno Award this year for Contemporary Roots Album of the Year. Watch Kater perform her song Meridian Ground below. Every year, a team of musicians go head-to-head with professional hockey players for the Juno Cup. It raises money for MusiCounts, which supports music education for students all across Canada. Multiple Juno-winner and Blue Rodeo frontman Jim Cuddy is one of this year's players. The captain of the squad is Olympic gold medallist Natalie Spooner. From Toronto to Nashville, Donovan Woods is a much sought-after songwriter for big country stars like Tim McGraw. His latest album, Both Ways, has earned him nominations for Songwriter of the Year and Contemporary Roots Album of the Year at this year's Juno Awards. Watch Woods perform his songGreat Escape below. Chanty Marostica was crowned the winner of the Sirius XM Top Comic competition. They performed a series of hour-long shows at JFL42 — Toronto's edition of the Just For Laughs Festival — and to top it off, they released their very first comedy album, which is nominated for Comedy Album of the Year at this year's Junos Awards. Watch Marostica's hilarious comedy set below where they explain why they always get mistaken for Justin Bieber. Emma Donoghue and Donovan Woods return to the stage with Chris de la Torre, host of CBC London's Afternoon Drive show. Together, the three of them play a special game of Jam or Not a Jam, featuring songs by past Juno winners, including Celine Dion, Corey Hart, Shania Twain and more. Darren "Young D" Metz and Quinton "Yung Trybez" Nyce of Snotty Nose Rez Kids have quickly proven themselves to be one of the next great hip-hop acts to come out of Canada. They end the night with a performance from their latest album The Average Savage, which was shortlisted for the Polaris Music Prize and is now nominated for Music Album of the Year at this year's Juno Awards. You can listen to the entire q Live at the Junos show near the top of this page or on the q podcast.